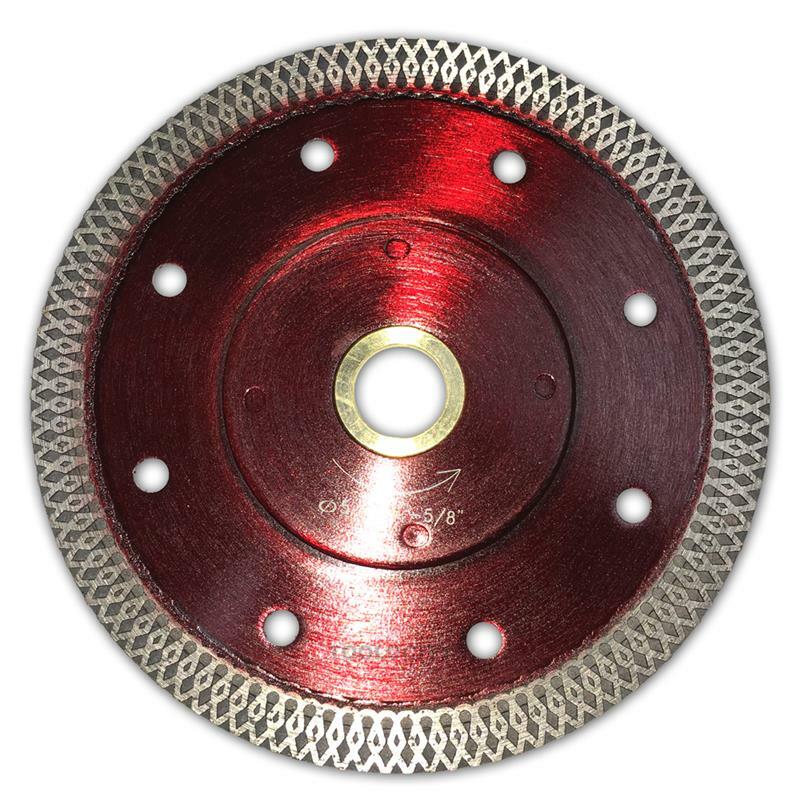 Monster Diamond Mesh Rim blades are designed to cut all types tiles with least chipping. 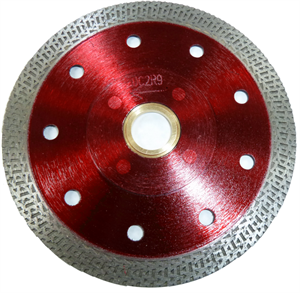 The thin mesh rim technology allows the blade to cut all types of tiles including marble, granite, porcelain, ceramic, travertine and other stones without chipping/breaking the tiles. 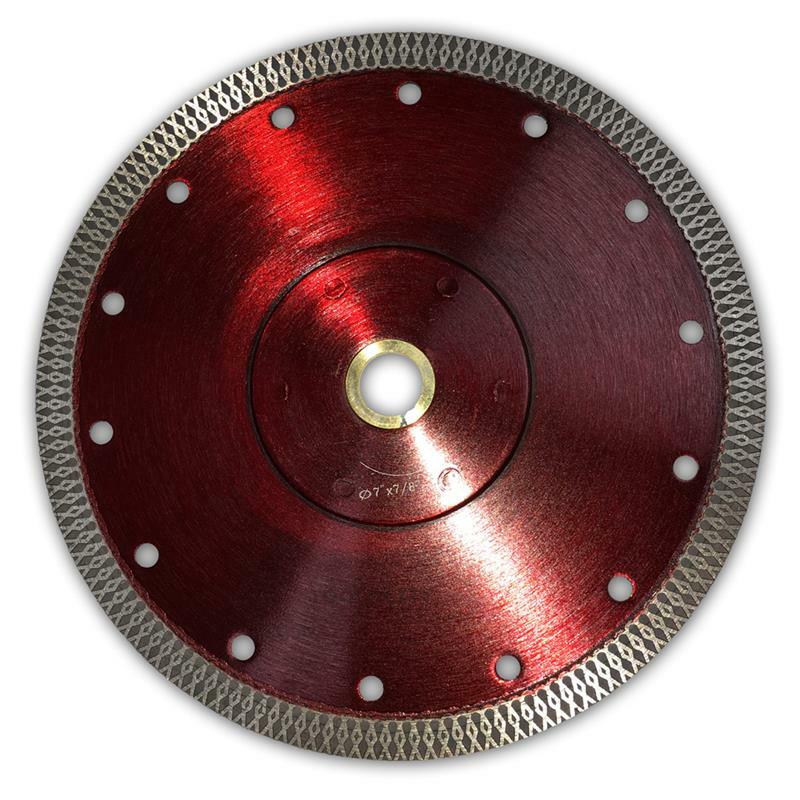 Reenforced core minimizes wobbling of the blade.